My Prayer Is For Me ! My prayer is for MYSELF, God you be the judge of me & give me your truths in my inward parts. Deliver me Lord from all or anything & everything that is NOT like you Lord & also anything that may inhabited, impede, halt, stop or hinder your authentic movement & or flow through me as your vessel God. Father give me your absolute truths in every area of my life & to all those that are around me according to your Word. Lord I want to be an effective vessel in the lives of your people, for those that currently know you & those that do not know you yet. Lord that I may be able to walk & move in ALL of your truths God by the spirit of agape love. To be a vessel of honor & to give you God all the Glory. Help me Lord not to be accusatory, judgemental, arrogant, prideful, & self righteous or to think that I am better than anyone else, especially based on my own natural senses & inclinations. Also Lord help to see each & every person as you see them & yet not compromise your truths. Help me Father to see clearly your people by your Spirit & in the spirit, remove the mote out my own eyes Lord. Help me not to be religious in my perception & interactions with your people. To walk by faith & not by sight with those that may need my intercession & so that my intercession or interactions with others are pure, true, sincere, authentic, honest, have integrity & be Holy with no beguiling, manipulation, deceit, lies, untruths, mixtures, contamination, errors, falsehoods, control & abuse of my authority in Christ Jesus. Let me not be blinded by my own carnality when seeing your people & let speak as you Lord would speak to each of them. Lord show me myself, so that I can deal effectively with all my own issues, concerns & anything that is or can operate in my soulish life, so that the enemy’s efforts are completely blocked & so he can not use me against another human being on the face of this earth. Lord help me! I am the one that stands in need of prayer. Help me to always be loving & forgiven & to have mercy & show your grace to others, I Love you Lord Jesus & I love your people; It’s a genuine & pure love straight from you. However, do protect me Father from my own self & those things that may operate in other people whether it may be jealousy, envy, strife, evil intentions, malicious, or harmful actions, thoughts & deeds etc to my individual safety, purpose & destiny in Your Kingdom God in this earth, may it be anyone with issues, defects, weakness, concerns & things the enemy can use against me that I may immediately deny or just do not see, hear, feel, sense, or even discern in others & their actions that may be dormant or hidden. Whatever the enemy has met for evil in my life, let it totally work out for my good, success, prosperity, maturity & growth in you Lord, because I love you & I’m called according to your purposes. Consume me completely Father with your purifying Fire & place a wall of Fire around me as I walk through the valley of the shadow of death, I shall not fear no evil for thou art with me, thy rod & staff comfort me. Lord as I have submitted myself before you as my Judge & Advocate, please vindicate & validate your servant Lord in this earth, prepare your table for me in the presence of my enemies & no weapon ever formed against me shall prosper & it shall be condemn. For the battle is not mine but yours Lord. Father release your warring Angels that excel in strength around about me. For I know I am covered with The Blood of Jesus Christ. My prayer is for you my Lord, Master, Friend, Father, & Sovereign King to get all the Glory out of my life & existence in this earth in Jesus ‘ name. Amen ! Captains of Prayer, City & State Prayer Leaders, Prayer Networks, Those that have been over various Prayer Movements, Prayer Call-in Leaders, Churches Head Intercessors or Leaders, Intercessors that Pray for Specific Events or Areas, Leaders, Governments, Entertainment Industry, Schools, Businesses, Safety, etc, Spiritual Warfare Leaders, Intercessors For The Nations, Cultures & Ethnicities, Intercessors who watch the News to pray, or those who do not watch the News to pray, Statewide Intercessors, & Intercessors that are on the watch to Prevents Demonic Attacks in the Spirit Realm, Intercessors For Marriage, Teens, Children, Husbands, Wives, The Elderly, Parents, Grandparents & Families, Intercessors For Victims & the Predators, for the Grieving, the Hurting Rejected & Lost. 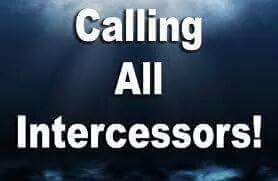 Intercessors For The Body of Christ, The Churches & Ministries, Intercessors that Pray For people’s Deliverance & or people who just like to pray in Jesus’ name. 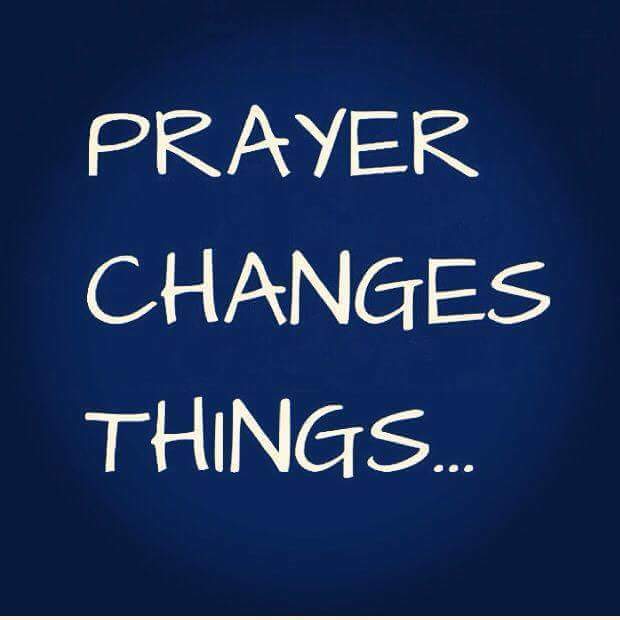 This an Urgent Alert, 911, SOS, a help, The trumpet is sounding in the Spirit & There is a Clarion Call to PRAY NOW, even if you have not been praying with a consistency or been persistence in your prayer life. It is time to communicate with YOUR Heavenly Father, because changes are coming rapidly & suddenly that will effect humanity globally. Our God is pouring His spirit out on all flesh. We shall witness a mighty, great, massive & awesome move of God with creative miracles, strange, wondrous & terrible signs to manifest in the earth. Yet there will be & are increases in the intensity in spiritual warfare, However we are Victorious & Triumphant in every way in Christ. 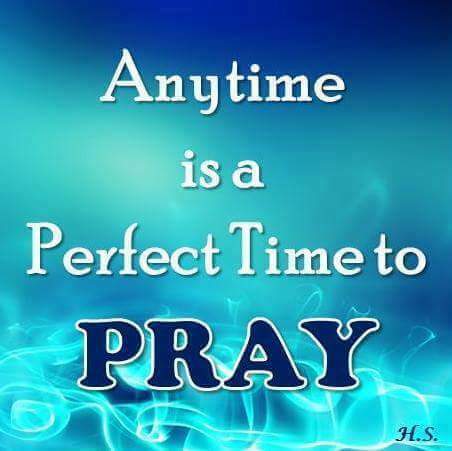 We Must keep our FOCUS on Christ, by WATCHING as well as PRAYING & PRAY daily! We must build up our prayer walls, shields & protection around ourselves, families, communities, Nations etc . We are in The Army of The Lord. He awaits to give us all our Marching Orders Now & I sense He is saying Right Now! He calling for a greater sensitivity to His presence & Holy Spirit, A total submission of our being to His will & guidance, a greater purging, deliverance, cleansing, & Holiness in Him. Also a greater intimacy accountability of our individual action to The Lord. We are on the Frontline & every entry way to the enemy & demonic realm must be closed & there no exceptions or excuses, because this stage the enemy is coming with an vengeance with the intend to kill, steal & destroy. The Kingdom suffers violence & the violent must take it by force. We must bind the strongman in our life as well as the territory we shall plunder. So let’s girt up ours loins & proceed to go forward in prayer, with our weapons of our warfare which are not carnal, but mighty in The Lord. Watch therefore with all vigilant. Resist the devil & he shall fleet. GOD IS CALLING ALL INTERCESSORS this is not a one man’s show, but a Kingdom’s initiatives orchestrated & mobilize by our Sovereign King, as The Lord Saboath. Please let us pray hastily with a fervently & ardently for The United States of America, for God’s protection & covering over all the Parade site activities today in the various location throughout our nation. We pray a covering/hedge of protection over our bridges, tunnels, highways, overpasses, airways, waterways, ground, periphery, perimeters & boundaries, of our nation. This also includes areas of where large crowds of people may be during the holidays. We pray for more wisdom, insights, discernment & for an increased sensitivity to one’s environment & atmosphere around people in general & also for the security & safety personnel in every location, this includes our Homeland Security, CIA, FBI, Secret Service Agents, all our local Police dept, Sheriffs, Park Rangers, Fire department personnel, Border & Custom patrols, all of Armed Services personnel & our Airports, Airplanes, Airlines personnel & its security & staff, the Reserves, Water Patrol. Please pray for all additional forms modes of transportation used in this country & the personnel staff that & includes our Bus drivers, Truck drivers, Subway operators, helicopters operators, Trains personnel & Conductors, Ships, Cruise & Freight Captains & staff, Submarines personnel, Security Guards &we pray protection over schools, colleges, hospitals, all our governmental federal, state, & city buildings, our courthouses & the United Nations & museums, business complexes, Banks, the prisons & its staff & various malls, stores, daycare facilities, theaters, restaurants, libraries, community & centers, temples, churches & any place where our children may frequent, our annual events, sports gathering, highlighted events such as Oscars, Rewards shows & also any unaware, unexpected or unassuming localities & or unpopulated areas where someone may attack or provoke chaos & we pray over our Army, Navy, Airforces, Marines bases /camps, water ports, our borders to other countries & we pray over our deserts, mountains, caves, valleys & parks. We decree extra protection over any visiting, Ambassador, dignitaries & or political leaders in our nation. We come against any plans of multiple, simultaneous synchronizes attacks in public & crowded locations. We call forth all Prophetic Watchmen, Prayer Warriors, & Intercessors to stand guard. We decree exposure of all hidden or secret teams, units, plots, plans, conspiracies, strategies, networks, sleeper cells & people with wicked & evil intentions to do harm & hurt to others. We come against betrayal, double agents & spies within our country & its system of functionality. We come against negative influencers & those who want to incite riots, wars & promote hate crimes against others. We speak abrupt disruption to any lines of malicious communication between persons with potential plans to do or with the cruel intentions of afflicting harm & or spitefully hurting large groups of innocence people no matter what the motivation or hidden evil agenda may be. We come against all undercurrents & dangerous secrets to the safety of our nation. Father we pray for your wisdom, clarity & tact, grace & understanding in dealing with foreign policies, refugees, unauthorized citizens & those with diplomatic immunity, government & officials from other countries. We speak exposure to all radical extremist & terrorist individuals groups. all authority comes from you & we recognize your Sovereignty, we also trust in your mercy & grace in our Nation of the United States of America in Jesus’ Christ name. We thank you Father for hearing our cry, even as you did Israel in Egypt in the word. We thank you for signs, wonders & miracles in our land. Dreams that people are experiencing about these later times are actually confirming the sense of urgency for the need of prayer in my spirit like never before. Things are being exposed at a rapid rate and the intensity of the wrath of the enemy is unprecedent in this season. We can advance in the Kingdom of our King and Lord Jesus Christ to overthrow the Kingdom of darkness with all the intentions of dwarfing the plans and strategies of the enemy. We know some things are prophetically set in motion, however, there are some situations that can be prevented and the invention of Jesus can stop the plans of the enemy through our united Prophetic and Apostlic intercession. We can use technology for the Kingdom sake to glorify The Lord Jesus Christ. Please do continue to on alert with any urgent and important information pertaining to prayer our country and we will definitely forward the information to our Apostlic prayer team. We are indeed in a crisis mode as Watchmen on the wall. For these are serious time in which we live. God is moving quickly and we have to be positioned correctly in the Kingdom and in rank to respond accordingly.